Our hearts and prayers are with you. See “Obama Snubs Paris, Disses War on Terror” at http://wp.me/p4scHf-6S. See “Benghazi-Paris Nexus” at http://wp.me/p4scHf-6Y. See “We Are All Parisians!” at http://wp.me/p4scHf-71. See “CPAC: Roman Genn – Solidarity for Liberty” at http://wp.me/p4scHf-8f. See “ISIS Is Contained!” at http://wp.me/p4scHf-bX. See “The Left Goes Gaga Over Paris Attack” at http://wp.me/p4scHf-c0. See “Coulter Aghast at ISIS Coverage” at http://wp.me/p4jHFp-aK. 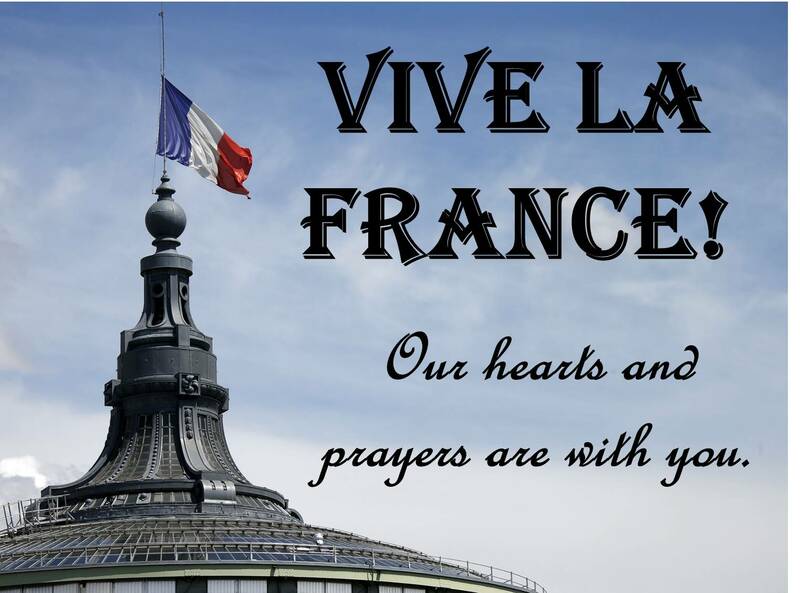 This entry was posted in Uncategorized and tagged Ann Coulter, Barack Obama, Bastille Day, immigration, ISIS, Islam, jihad, Nice attack, Paris attack, Roman Genn, terrorism, Vive la France on July 15, 2016 by BrotherWatch. Islamic terrorists shout “Allahu Akbar” as they slaughter and kill innocents, and apologists for these jihadists claim it has nothing to do with Islam. “Allahu Akbar,” translated “God is the greatest,” is better rendered “Allah is the greatest.” It is, of course, Allah to whom the phrase refers. 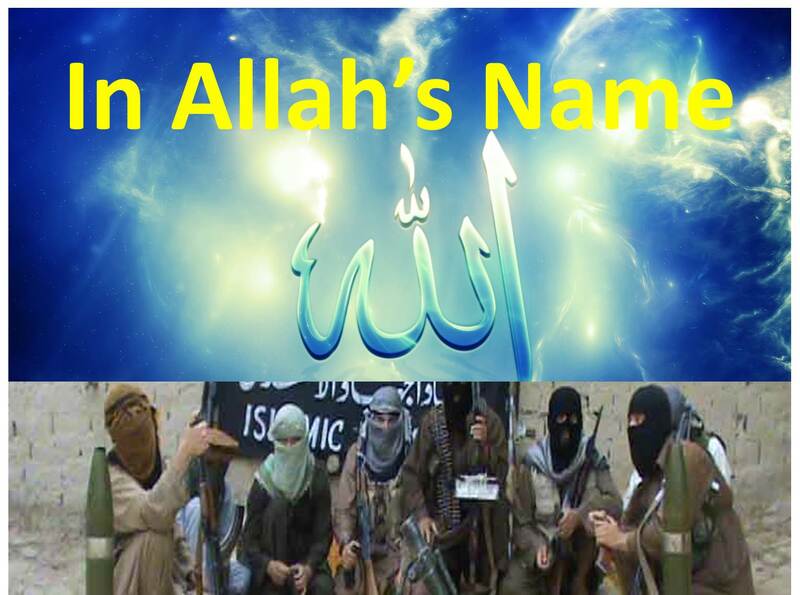 Jihadists crying out, “Allahu Akbar,” are proclaiming the supremacy of Allah, not of some generic or non-Islamic god. Allah, and Allah alone, is the recipient of their fealty and worship. But apologists for jihadists are pleased to translate “Allahu” as God and not Allah. Why? It serves at least two purposes. First, it obscures the identification of the worshiped (Allah) and the worshipers (Muslims). This enables apologists and sympathizers to perpetuate their myth of Islam as a religion of peace. Second, it suggests a moral equivalence between Islam and other religions, each with its own god or gods. Therefore, apologists for Islam can immediately pivot to attacking non-Muslims and besmirching other religions, principally Christianity. That fact that religion-based terrorism is almost exclusively committed by Muslims in the name of Allah can, therefore, be disguised and denied. By translating “Allahu” as God and not Allah, all religions can be denied. This is particularly appealing to secularists and atheists. Apologists for jihad refuse to acknowledge even the existence of Islamic terrorism and they contend that jihad is peaceful, contrary to history (more than a millennia), reality (global violent jihad is daily in the news), and the self-identity of the jihadists themselves (who proudly proclaim to be doing Allah’s will). Violent jihad has always been a part of Islam, prescribed by its holy texts. Its adherents, those who accept the original interpretation of those texts, truly believe they are doing Allah’s (not God’s) will. When terrorists behead, blow-up, and butcher innocents, we should take them at their word as they give credit to Allah. Words mean things. Twisting words to mean something else does not change reality. “Allahu Akbar” has an historical significance in being used during various periods of Islamic conquest. It has a contemporary significance in being used, daily, by jihadists as they commit acts of terrorism. That singular expression tells the story. Jihadists commit these acts because of their Islamic faith and their devotion to the commands of Allah. Denying the obvious only enables these cruel zealots to continue their war on civilization in pursuit of their version of Paradise, a worldwide caliphate. All those who love liberty and deplore the barbarism of these jihadists should demand the truth from our government, our media, and all those who are in a position of influence and power. To defeat the enemy, we must defeat their ideology. To defeat their ideology, we must recognize it, refute it, and destroy it. Denying their intentions and motivations enables their actions to continue undeterred. Indeed, our silence – the jettisoning of reality down the memory hole – and our refusal to fight for victory emboldens our enemies. They are eager to destroy us even as the Left pretends that they are our friends. This entry was posted in Uncategorized and tagged Allah, Allahu Akbar, apologists, caliphate, clash of civilizations, Islam, Islamic terrorism, jihad, jihad deniers, Muslims, Orlando shooting, Paradise, religion of peace, sympathizers, terrorism, war on terror, Western Civilization on June 14, 2016 by BrotherWatch. With an astonishing refutation of reality, the White House recently announced its latest “strategy” to defeat terrorism: welfare. Does this White House truly believe that we can bribe terrorists to stop terrorizing? How did that succeed domestically, with the establishment of the welfare state under Johnson’s War on Poverty to create a Great Society? The War on Poverty was a failure and the poster children of the Great Society are Ferguson and Detroit. The root cause of terrorism is not, and never has been, unemployment. The root cause of terrorism is evil, the evil that resides in man’s heart. And the specific manifestation of that evil which compels these evil men to kill, behead, terrorize, and destroy is a desire to fulfill the wishes of Allah and pursue Islamic jihad with the end goal of creating a global, infidel-free, Muslim caliphate. Money, jobs, and any form of appeasement will not stay the hands of these evil-doers. Evil-doers! Appeasing Putin, the Castro brothers, Iran and other tyrannical states, will not end the tyranny. Evil exists. Evil in the hearts of these evil people. Six years of appeasement has erupted the world in flames! The Obama administration – and the Obama administration alone – is pathologically incapable of identifying the enemy and the origins of their behavior. 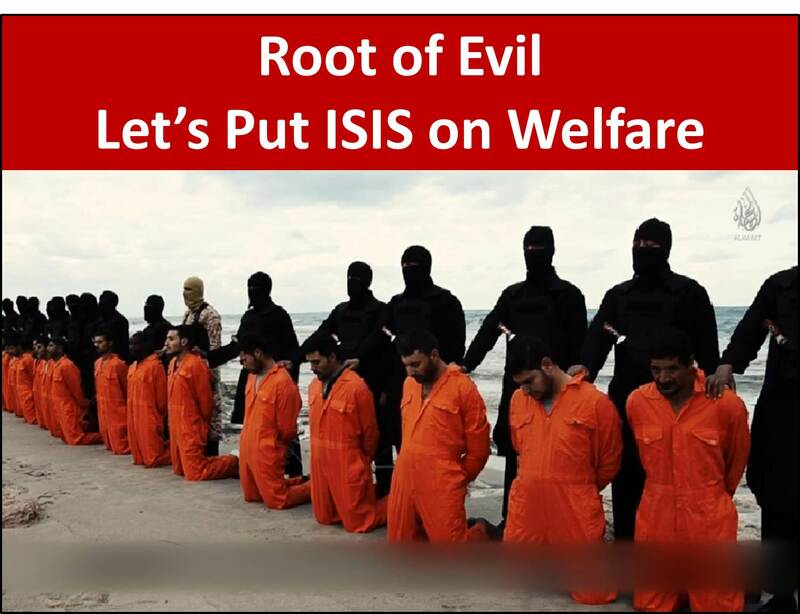 The enemy is Islamic jihadists whose goal is to subjugate or annihilate all those who refuse to accept Allah as God. 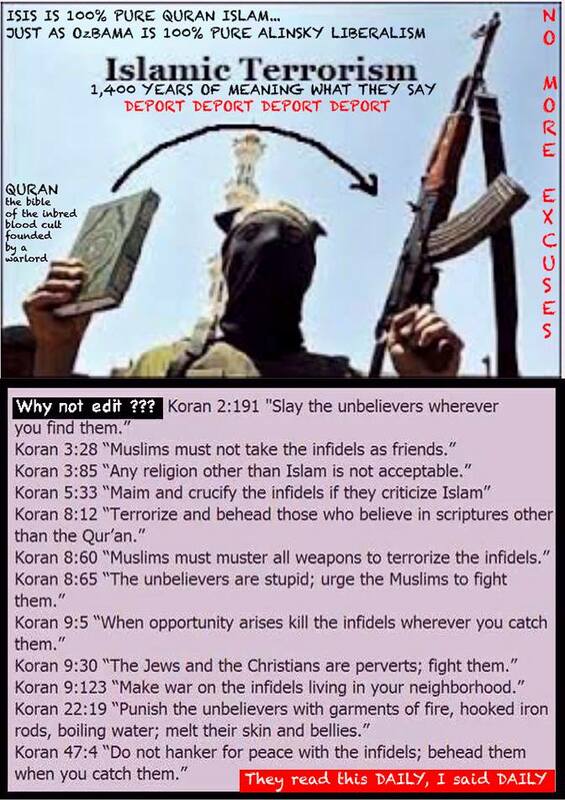 The origins of their behavior lie in the Koran and teachings of Mohammed. How ludicrous! We killed our way out of World Wars I and II. Wars end after the enemy has been defeated or destroyed. Islamic jihadists pose an existential threat to America and the whole of Western Civilization. This entry was posted in Uncategorized and tagged Ahmadinejad, Allah, Barack Obama, caliphate, Detroit, Dianne Feinstein, evil, Ferguson, great society, Islam, jihad, Koran, Marie Harf, Putin, Susan Rice, terrorism, tyranny, war on poverty, war on terror, welfare state, White House on February 17, 2015 by BrotherWatch. Victor Davis Hanson’s brilliant analysis of contemporary geo-politics is a must read at National Review. In less than 1,200 words, Hanson summarizes the alarming rise of five (five!) 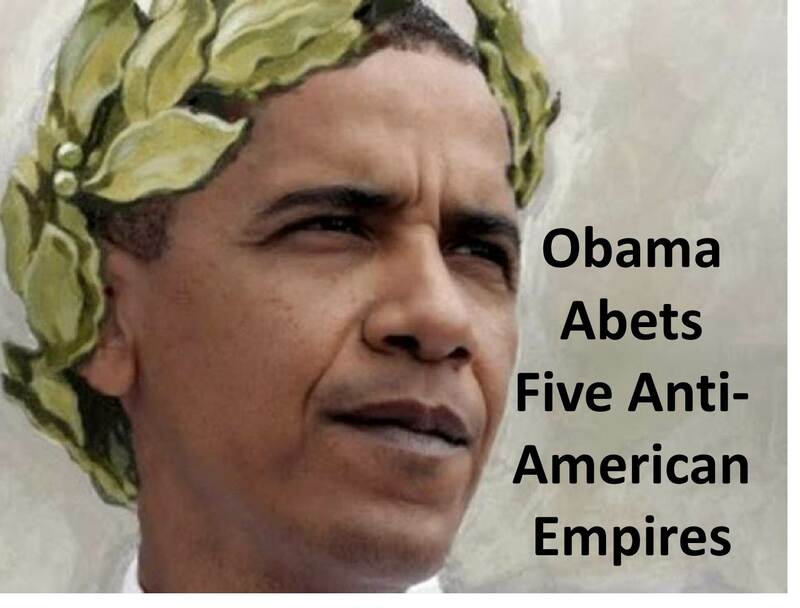 anti-American empires under Obama’s watch. Everything abhors a vacuum, so, “on the eve of World War II four new empires suddenly grew out of the wreckage of old Europe and Asia.” They were: Fascist Italy, Nazi Germany (Third Reich), the Greater Japanese Empire, and the Soviet Union. That geo-political power vacuum is again creating a vortex of competing empire-building forces spanning the globe to create, as Hanson notes, five new (or revived) empires. The fifth empire, the awakening giant of Communist China, “has terrified almost all of its Westernized neighbors – Australia, Japan, the Philippines, South Korea, and Taiwan.” It is attempting “to recreate its own version of” the Japanese Empire. Hanson notes some disturbing “common denominators to the grandiose visions of these five would-be empires.” In essence, they “are anti-democratic,” “certainly anti-American” “bullies” who cannot be appeased. Ironically, as President Barack “I am not a dictator” Obama wields greater dictatorial powers at home and bullies political opponents as if they were the enemy, he appeases our enemies as if that will cause them to cease being tyrants or terrorists. Obama treats these rising hegemonic threats as if they were legitimate, yet regards America’s presence anywhere as illegitimate, as if America was a usurper on the world stage. Leading from behind has led to this global crisis in which America continues to hide behind Obama’s phony assurances of “Peace in our time.” Instead of exercising leadership in a world desperate for salvation, Obama rejects the reality of the threats facing us and the world. Instead of challenging, as Reagan did, existing evil empires, Obama acts as if it is America that is evil. 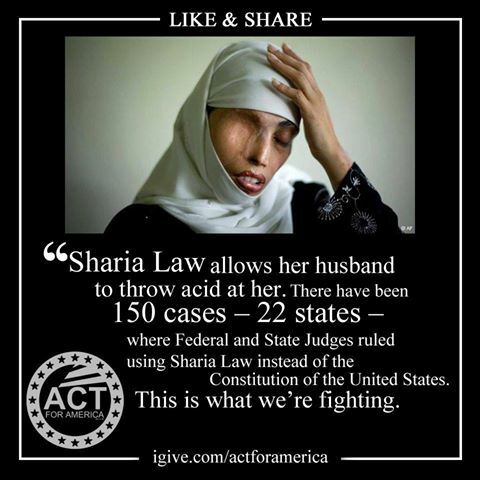 This entry was posted in Uncategorized and tagged aggression, anti-American, anti-democratic, appeasement, bully, caliphate, China, Communist, Czarist, empires, Erdogan, imperial, Iran, ISIS, Islam, nuclear, Obama, Ottoman, Putin, Reagan, Russian on January 27, 2015 by BrotherWatch. Many on the Left abhor one of the most genuine, poignant, and patriotic movies to come out of Hollywood in decades: American Sniper. The problem with American Sniper is that it addresses the reality of the war in which we are engaged and it does so from a patriotic perspective. Navy SEAL Chris Kyle, with courage and self-less devotion, defended “God, country, and family.” Now, the Left irrationally and emotionally assaults Kyle as a stand-in for the Tea Party and Religious Right, whom it regards as worse than the terrorists with which we are at war. In this biographical movie, America is not the enemy. Here, the American military is portrayed as a force for good. America – and those defending her freedom and values – should be cherished. And Americans love it! Why don’t liberals? American Sniper defends America in a compelling, riveting, and heart-wrenching way. It’s a pity that the Left won’t do the same. 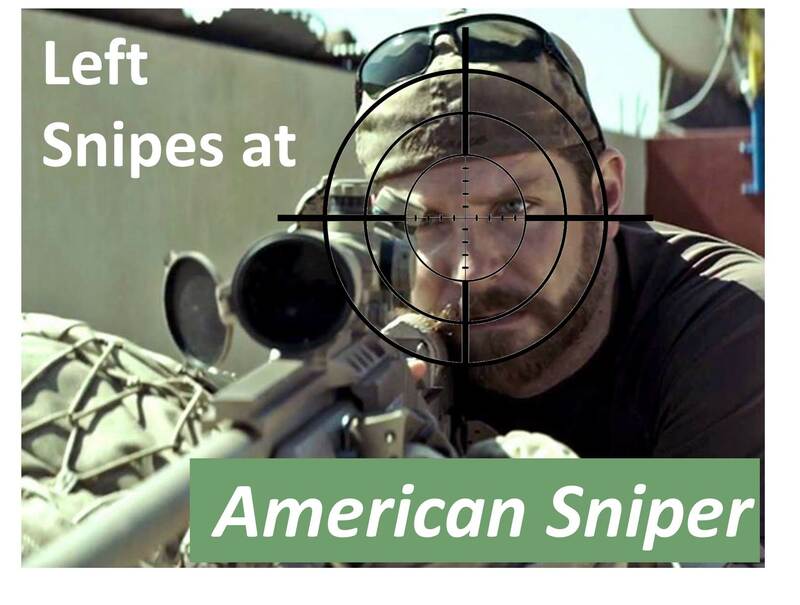 Leftists in Hollywood, academia, and politics naturally were outraged at American Sniper. Americans heroes, in Moore’s eyes, are cowards, and terrorists are courageous. Didn’t Bill Maher call the 9/11 hijackers brave? Why does the Left exult in true stories which denigrate America, but challenge those that do not? Why is there such rage over views and stories which challenge their false narratives about America? Opposing views threaten their political and cultural hegemony and their ideological relevance. Today’s cultural and political paradigm has its origins in the turbulent Johnson and Nixon administrations. The anti-war counterculturalists of the Sixties remain unrepentant, opposing traditional values, opposing America’s Judeo-Christian heritage, and opposing America’s military. Why don’t they oppose Islamists (whose adherents are at war with us) or militaries of those nations who would seek to destroy us? Shapiro credits the Left with harboring “a deeper moral relativism” which contends that fighting the enemy is synonymous with becoming the enemy. “Islamophobia,” as defined by these pacifists, is an irrational fear of Islam. Anyone watching the unfolding of terrorist attacks around the world and here, in America, should necessarily have a rational fear of Islamic jihad. Schultz’s denial of Islamic jihad mirrors that of the Obama administration. 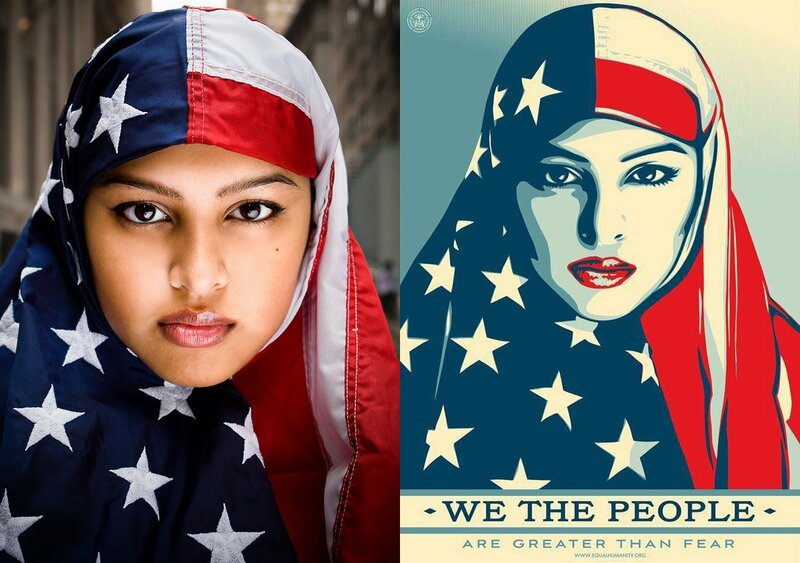 Americans are – Pro-America! Go Figure! Unlike so many of the intelligentsia, most Americans actually favor America. Most Americans value our Judeo-Christian heritage and the constitutional framework designed by our Founding Fathers. And most Americans respect and admire those members of the military who risk their lives in service to their fellow countrymen. Kyle did not possess the squeamishness of the likes of Rogen, Moore, Schultz, and Obama. Kyle knew the difference between right and wrong (something his detractors do not) and he grasped the existence of evil (something his critics only see as existing in America). Instead of confronting the enemy head on, as Kyle did time and again, the Left refuses to identify the motivation of the enemy and its barbaric nature. Rather, the Left prefers to ignore the truth, appease the enemy, and attack those who actually defend America! This entry was posted in Uncategorized and tagged American Sniper, AmericanPsycho, anti-American, anti-war, Barack Obama, bravery, Chris Kyle, countercultural, courage, heroism, honor, Iraq, Islam, jihad, Michael Moore, Navy SEAL, pacifism, patriotism, propaganda, Seth Rogen, Sixties, terrorism, war on January 21, 2015 by BrotherWatch. OK Beheading? … Must be Tea Party Christians! Muslims are beheading Christians and others in the Middle East and northern Africa. ISIS (Muslim) beheads Western journalists and others in its domain. 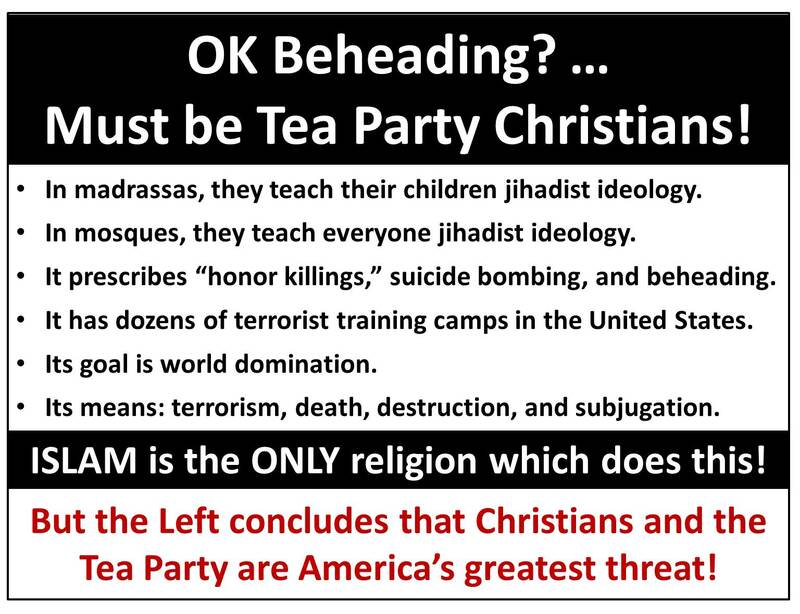 Muslims are now beheading people in America. But we aren’t supposed to call it terrorism because of their religion? Their religion is what causes them to be terrorists! The Left obsesses over political correctness and refuses to name Islamic terrorism. But they are eager to claim right-wing terrorism wherever their myopic eyes see it. For them, Christians and conservatives are the real enemy. 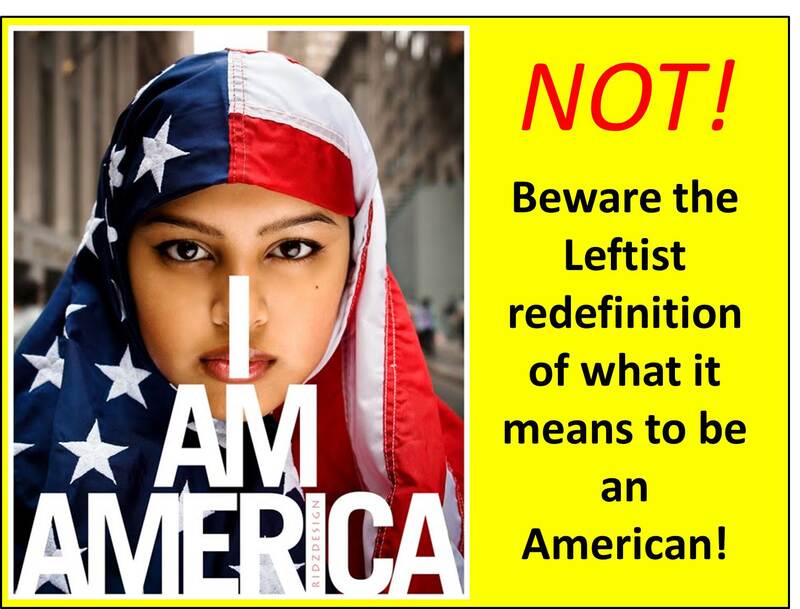 Beware: the real enemy – radical Islam – will slit the throats of liberals as eagerly as it does conservatives. This entry was posted in Uncategorized and tagged beheading, Christian, ISIS, Islam, radicalization, radicals, Tea Party, terrorism on September 30, 2014 by BrotherWatch.